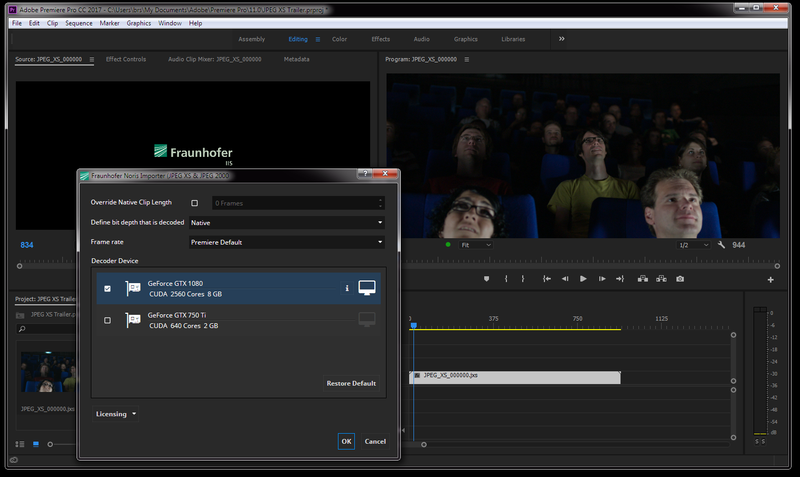 Fraunhofer IIS announced its first JPEG XS codec implementation for video production at the NAB Show in Las Vegas. The coding specialists of Fraunhofer IIS demonstrated the JPEG XS codec as an input format for post-production in a software plug-in for Adobe® Premiere® Pro CC with real-time playback capability of 4k60p UHD video. JPEG XS enables a simple integration in all existing hardware or software systems, such as cameras and extenders, due to its high granularity of parallelism in the algorithm. The codec is designed to take advantage of the SMPTE 2110 transmission layer system over IP.